While it is often a challenge to set aside the time to drink the right wine, it has been one of my resolutions this year to do so. A resolution I am failing at miserably I might add, but as we plow ahead into March let me try and remedy that in some small way. Tonight I had the pleasure of drinking my penultimate bottle of 1982 Ch. Poujeaux, an epiphany wine for me. This is the wine that allowed me to see what Bordeaux could be when I was very early on that voyage of understanding. It came to me all at once, a spontaneous understanding of what would be, where the tannins would go, how the fruit would change, the complexities yet to be revealed. I had, up to this point and thanks in large part to the lax controls and ample selection of one Manhasset N.Y. purveyor of fine wines, delved moderately deeply into aged if inexpensive Bordeaux, along with two disastrous purchases of the more famous stuff. Most was good in the way a wine can hold your interest as opposed to great in that way a wine can latch on to the contents of your skull and demand your attention. But Bordeaux was Bordeaux and this being the early 80s it was still the ne plus ultra of the wine world. 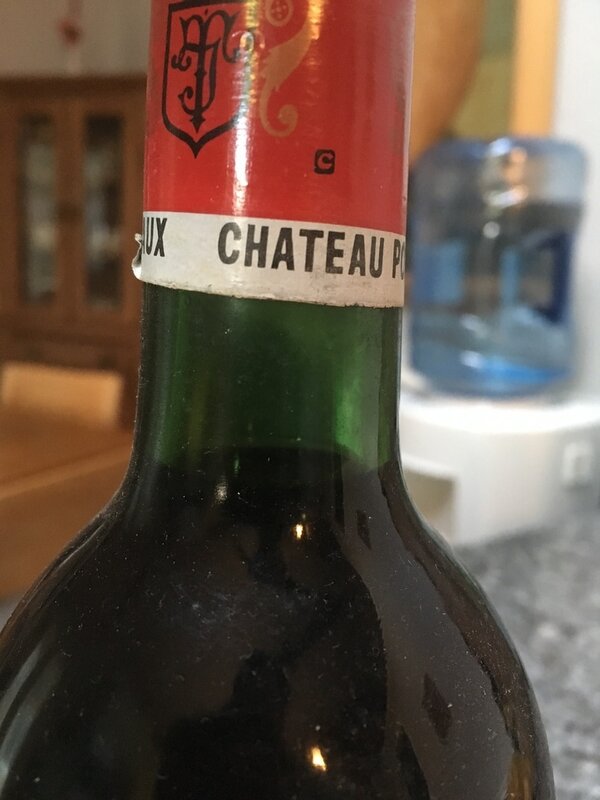 I was just beginning to lay down a few bottles of Bordeaux, halfway through college and decidedly parsimonious with what spare change there was, I tended to pick around the edges, close-outs and Petit Chateau. I had found some 79 and 81 Cos d’Estournel that I was interested in, the prized bottles in the meager Bordeaux section of the cellar, but nothing had convinced me that I needed to buy more, until I tried this. I have the receipt somewhere, I think it was about $7 for the bottle, $72 for the case that I subsequently bought. Not a ton of money, though for that splurge I could have bought six bottles of some classed growth, but that was not what I needed. I needed this. I needed to follow it, to see if my intuition was correct. And to enjoy it, because joy it did deliver and at this price I wanted as much as I could get. Still with a tinge of tannin in the mouth, this is a touch tight early on the palate hinting at a lovey if fading core of sweet red currant and strawberry tinged fruit. A touch of greenness frames the nose with air as the palate, elegant and gentle, reveals nuanced mineral notes and hints of darker fruit, earthy spice and licorice on the backend before fading softly on a slightly medicinal red cherry note. This just gets better with air, its frail frame filling in with red currant fruit and gaining a silky texture. 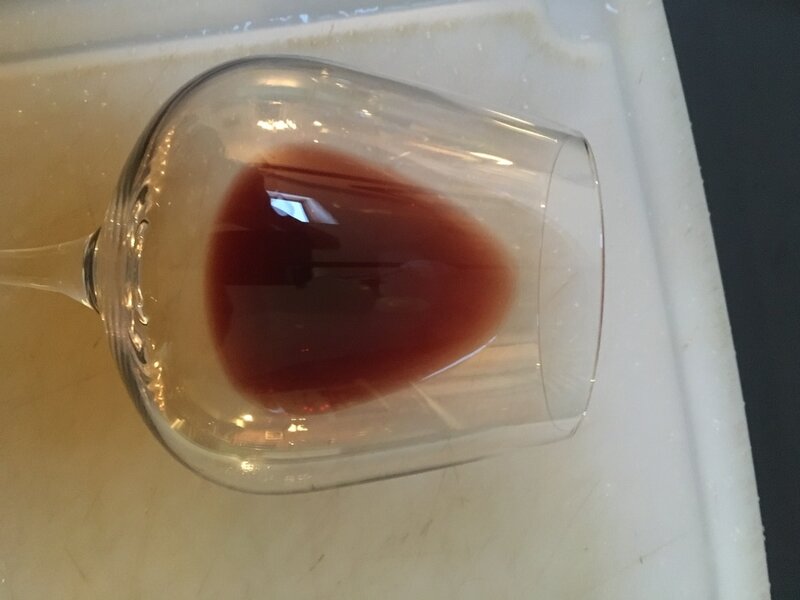 After about an hour the tannins begin to pierce that tender gauze of fruit, as the nose show more of a smoky black tea and gunpowder character while still retaining retreating currant fruit. The elegance gently leaves the palate, earthy fruit remains with spice and vegetal accent notes, as this draws the curtains on a wonderful performance, a beautiful arc of evolution. At its peak this certainly pushed 90pts tonight, perhaps 91-92pts with a bit of sentimentality, though by the end we were back where most bottles have performed, still lovely but perhaps more typically past peak and somewhere in the 82-86 point range depending on one’s palate. The points of course being not the point. The arc tonight was not only the wine’s, but also my own. I bought that wine thinking that I saw this wine. There is a certain contentedness to be derived by that young man's conviction in making the call. That wine was not as good as this wine is, but it promised. Tonight it delivered.